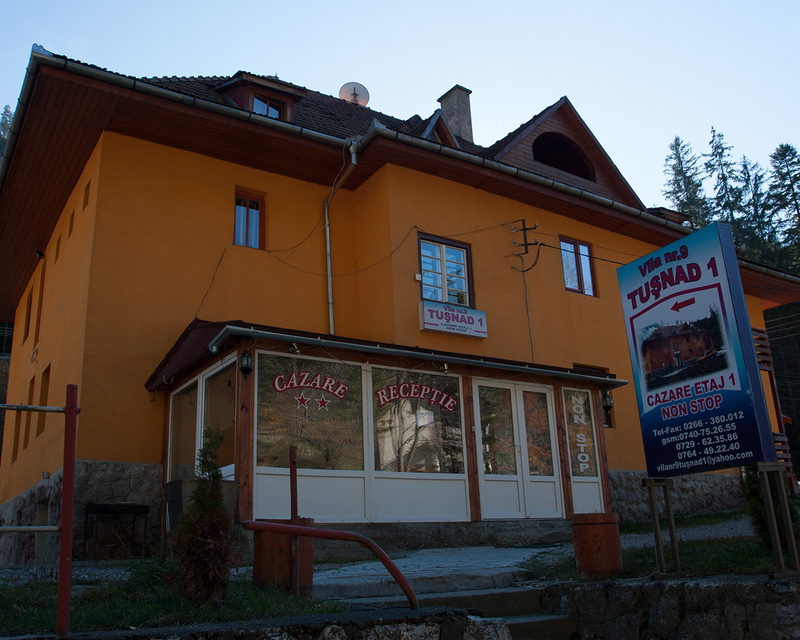 Pension 9 Tusnad (Tushnad) is situated next to the main road between Gheorgheni and Bicaz, 5-kms from the Bicaz-pass and 10 minutes from Red Lake. Our pension disposes rooms that can accommodate 2 and 3 persons in single and twin-bed rooms. Our pension ensures place and can accommodate pets as well, disposes a parking lot, a garden, ensures access to the kitchen, ensures possibility to use the fridge, the laundry-room, and barbeque. We are more than welcome to lend our services and ensure the comfortable accommodation of our guests.